Choosing your child’s religious education program is an important decision, just as important as choosing your own religious home. If you are searching for an open and affirming community in which your child can grow in spirit and in love, you have found the right place! This is not your typical Sunday School. 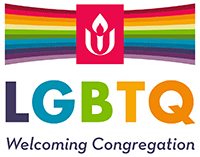 Unitarian Universalists believe there is no single answer to religious questions. We encourage our children and youth to discover what gives meaning to their lives through age-appropriate sessions that that recognize individual styles and needs. An environment that is safe, nurturing, and fun. A place for children and youth to wonder, ask questions, and discover their own unique spiritual nature. A program that focuses on personal spiritual growth, open faith exploration, and living values in the larger world. A diverse and multi-age community. 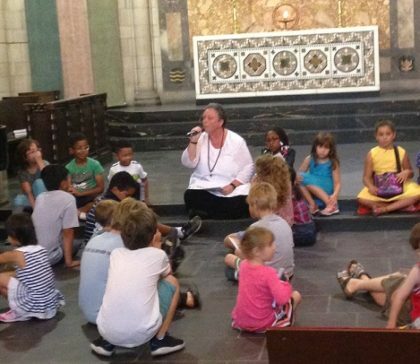 A meaningful, age-appropriate worship time in each service for children and youth. Exploration of themes such as Unitarian Universalist identity, world religions, Jewish and Christian heritage, social justice, and more. Special events that serve to bring our all-ages community together and enhance the experience of every child, youth, and adult. You can find details on our various age groups and curricula at 2018-19 Classes, and use the main navigation bar to review the schedule for the month. All of us at First Unitarian hope that you will find this to be a warm and inviting place for your whole family!